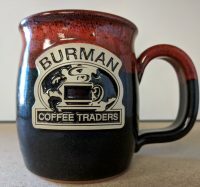 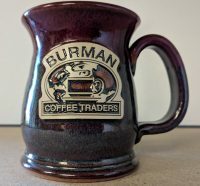 Beautiful handcrafted stoneware mug with the Burman Coffee Logo! 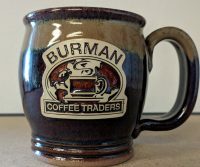 Handcrafted by skilled potters in Wisconsin. 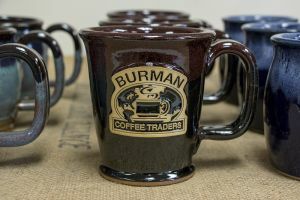 Handcrafted in America in an eco-friendly, employee-safe facility using green initiatives. 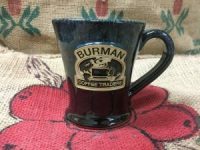 100% lead-free, food-safe and can be put in the microwave, oven, or dishwasher.